Certified Horticulturalist, Landscape Design & Construction Specialist, Malcolm Berry founded Landscaping Naturally in 1979. Landscaping Naturally are proud of their ability to create original designs that represent the diverse cultures of the world, as well as traditional landscapes suited to both domestic & commercial projects. We have always moved with the latest trends and believe we are at the forefront in design, researching & utilising new materials as they come onto the market, whilst always striving to create gardens with timeless designs. Our aim is to always achieve the very best in construction detail & finishes possible. 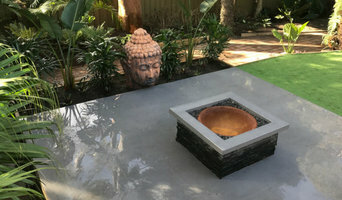 The Garden Gnome Port Stephens team have over 15 years experience in Landscaping, Garden & Lawn Maintenance, Strata Maintenance and Handyman Services, across Port Stephens, Newcastle, The Hunter Region and Sydney. We pride ourselves on: - Top quality work with superior results every time. - We only use quality products. - We work with your BUDGET and SPACE to deliver projects that blow you away. - We are reliable and show up on time! - We are friendly and professional. - We keep and leave the worksite clean and tidy! - We are reasonably priced and do not over charge. - We are a local family-run business. 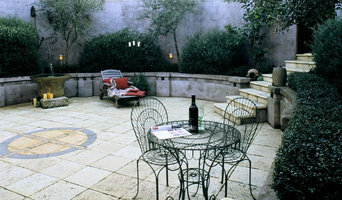 We do mostly residential work including new houses, fixing paving and retaining walls, courtyards and much more. Synergy Landscapes provide assistance in all aspects of landscaping and strive to create a harmonious, ambient space for you to enjoy. Achieving this harmony requires collaboration and rapport. With 15 years experience, Synergy Landscapes are able to combine your ideas with our expertise to bring your gardens to life. We encourage our clients to explore their options, using our knowledge to make these ideas a reality. Whether you are totally planned or starting from scratch, we can help you design and create your own slice of paradise. Our vision is to use our technical knowledge and skill to create your vision. More than just soil and plants, our gardens are created with passion! S & J is a proudly owned company providing quality Landscape and Design service to Sydney, Central Coast, Lower and Upper Hunter Region of NSW. Scott Lewis Landscape Construction Pty Ltd, established in 2003, is a family owned and operated business and services the NSW Central Coast and Lower Newcastle region. Scott Lewis has over 24 years of personal experience in the landscaping industry, and has built a reputation based on trust and quality workmanship. His referred and repeat business is testimony to his high standards. The friendly, dedicated team at Scott Lewis Landscape Construction offers a reliable service that combines your ideas with my expert knowledge to create your ideal garden. We use local suppliers and offer all aspects of landscaping from design & construction, earthmoving & drainage, paving & timber work, decks & pergolas, to concreting, retaining walls, steps, and the finishing touches of mulch, plants and turf. We are fully licensed and insured, and dedicated to customer satisfaction. So why not call or email us for your consultation and free quote. We specialise in Turf Preparation & Laying. Jason Reading Landscapes is a business guided by the philosophy of owner operator Jason Reading. He believes that a garden should be stylishly designed, functional and sustainable, while improving with each season. Servicing Maitland, Newcastle and the surrounding Hunter Valley region for over 16 years, Jason Reading Landscapes has exploded from a business of one to employing a team of sixteen. Jason credits his business success to having over 30 years’ combined experience within his highly qualified and professional team, as well as a focus on providing the personal touch that can only be provided by small business. Creating Eden Landscaping offers a complete landscaping service including retaining walls, pool surrounds, bricklaying, paving and decking. If it’s in the garden & outside the house we do it! 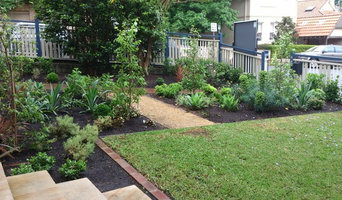 Landscaping: Landscaping is both science and art and requires good observation and design skills. We understand the elements of nature and construction and blend them together to create your own personal slice of Eden. More… Retaining Walls: Through proper design and installation our retaining walls are second to none. Although we specialise in sandstone and bush rock, we build in masonry, timber, blocks, concrete and brick to create structures that are strong, long lasting and blend beautifully with your garden. More… Bobcat, Mini-Loader & Tipper Hire: Our full range of landscaping equipment is available for hire with operators. Call us for a quote. More… Pool Surrounds: Creating a space around your pool that is both functional and beautiful is important for the long term joy you will have from your poolside. We create spaces that are low maintainence and enhance the beauty of your pool area. Bricklaying: Whether for paving, retaining walls or as part of a garden feature our professional staff ensure the right selection of colour and texture and then ensure professional construction. 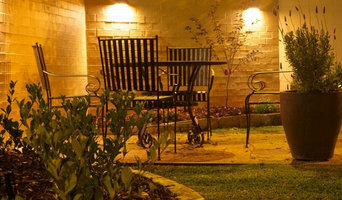 Freestyle Landscapes is a small business based in Lake Macquarie that specialises in structural and soft Landscapes. We are a total Newcastle landscaping company that builds stylish and affordable retaining walls for your property. We are a family operated landscaping business that's been landscaping and building retaining walls for over 15 years in and around the Newcastle and central coast areas. Retaining walls are a great option for many reasons. If your building a new home and you want to retain an area to create a usable area a retaining wall would be a great option. When it comes to the types of retaining walls. We have the skills and knowledge to build any wall you need. These days you have many options that are very affordable and look great. What are the types of retaining walls we can build for your Newcastle property. Concrete retaining walls Stone retaining walls Block retaining walls Timber retaining walls Rendered retaining walls. These can also be used for fencing as well. They are a good feature option. Rock retaining walls. These are a great natural look that you can blend in to a natural setting. As you can see we can build all types or Newcastle retaining walls. Get in touch with us if your looking for an experienced Newcastle retaining wall builder and we'll have a chat abut your upcoming landscaping project. What can a Newcastle, New South Wales landscape contractor or gardener do? 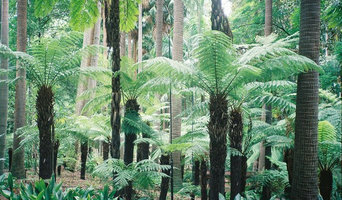 Find landscape solutions and Newcastle, New South Wales gardening services on Houzz. Scroll through this page to find professionals that offer landscaping and gardening services in your area. You can browse their latest projects, read reviews and see how other homeowners rate their work, and message them directly.